About 4 years ago, we predicted the importance of mirrors in art. And then we started to see it, slowly seeping in: David Altmejd’s mirror-covered pavilion at the 2007 Venice Biennale, Michelangelo Pistoletto, resurrected in Venice in 2009, Gwenaël Bélanger’s excellent shattering mirror video work at the Quebec Triennale, Michel de Broin’s stunning mirror-covered rock set deep in the forest…and this year, finally, we hear that the Armory featured many works with mirror. It makes sense – using mirror in work pulls the viewer into the piece like a magnet. It makes the art about the viewer and, importantly, extends the space between viewer and artwork. 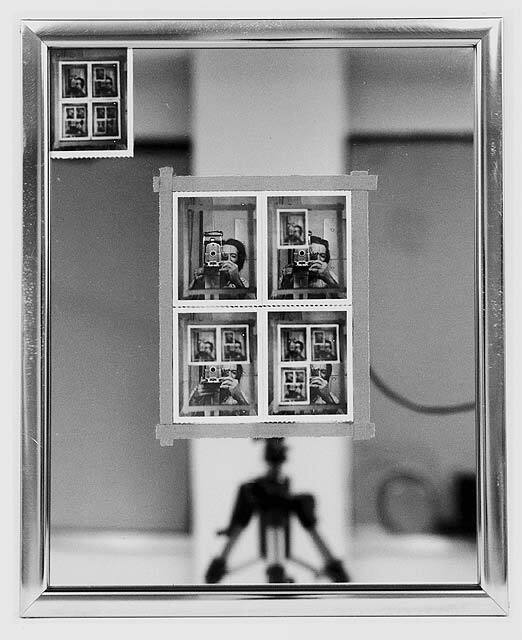 Of course, artists have long used mirror – Michael Snow’s famous piece Authorization from 1969 is one of VoCA’s favorites. Lately, we’ve been interested in Yves Klein’s famously patented hue, International Klein Blue. That brilliant mid-blue is starting to be seen more and more, from high street fashion (last season’s H&M) to Graham Gillmore’s new paintings at Clark & Faria gallery. Toronto dealer Clint Roenisch has used it on his temporary website, we’ve used it on VoCA’s Twitter page (@carzoo) and it suddenly looks right against red brick in Lawrence subway station or as trim on red brick houses throughout Toronto’s Annex neighbourhood. In 2008, Chanel even made a handbag inspired by it. International Klein Blue is more than a colour – it’s almost the essence of colour that you can sink deeply into. For Yves Klein, it was the “pursuit of the undefinable in painting..” That should certainly resonate in art today. ← Where will the Vancouver Art Gallery go? So, what is your point? S’all to say… Do you think maybe this blue phenomenon could be a fashion/culture trend as well? There were lots of blue dresses at the Oscars, after all. So maybe it’s not just an art thing? Also, it is possible that the mirror trend was initiated in design and fashion around the same time as in art? 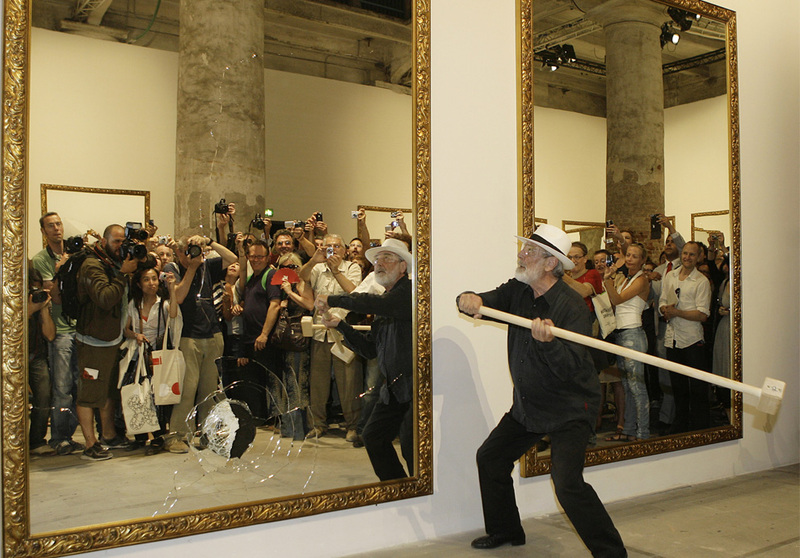 Love that Michelangelo Pistoletto photo. So good! Looks like it would have been super fun to be there. Yes I do think the blue thing is originating with fashion – it was really big last season and continues to be…I don’t think it’s just an art thing. I wonder if International Klein Blue will take off in art, though. It’s a special colour, so much more than just ‘blue’. But Klein patented the colour so it’s probably not that easy to use. I hadn’t noticed the same thing with mirrors, though – that one seemed to start with art and is now moving more into design, but that’s just from what I’ve noticed..